Writers from across the North of England are invited to submit their work in progress to the Northern Writers’ Awards 2018, which are now open for entry until Thursday 1 February 2018. The poet Imtiaz Dharker, literary agent Jonathan Ruppin, and authors Kerry Hudson and Lisa Williamson will judge the 2018 awards. 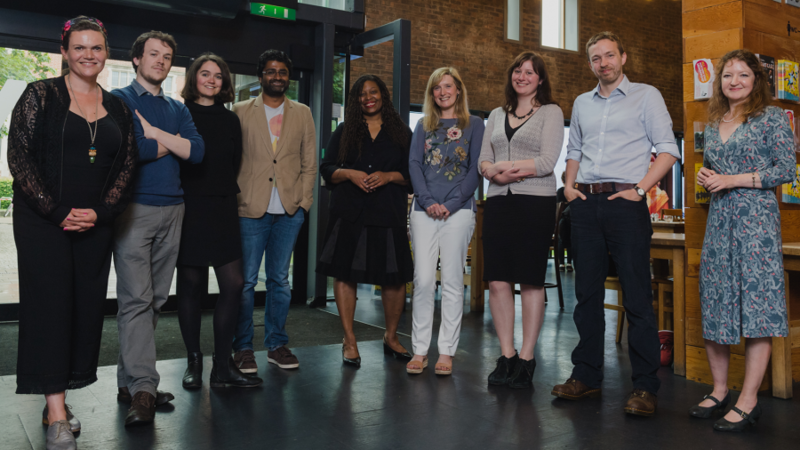 The Northern Writers’ Awards have been running since 2000 and exist to recognise talent and support new work towards publication or broadcast. The awards are the largest of their kind in the UK and have a reputation for identifying some of the best unpublished writing in the country, with recent winners including the novelists Chloe Daykin, Sarah Dunnakey and Benjamin Myers, short story writer Carys Davies, and poets Zaffar Kunial, Andrew McMillan and Kim Moore. There are awards for writers at different stages of their careers, including mentoring, developmental support and cash awards to buy time to write. New awards for 2018 include the Northern Book Prize, worth £5000, is a major new prize for writers in the North of England, which will see its winner’s book-length work of literary fiction published by the much-acclaimed, Sheffield-based independent publisher And Other Stories. Another new award, the Word Factory Apprentice Award, will award one outstanding short story writer from the North of England a £1000 bursary, mentoring from the writer Jenn Ashworth; and a year’s free access to all Word Factory events and masterclasses. In addition to individual awards, New Writing North supports its winners with ongoing tailored support. In 2018 selected winners will be offered additional opportunities including the chance to pitch work to literary agents and editors at the Summer Talent Salon in London; membership of The Society of Authors; and a professional development session with the leading independent publisher, Oneworld Publications. The flagship Northern Writers’ Awards, which offer cash prizes of up to £5,000 to support writers of fiction, narrative non-fiction, children’s, YA, graphic novels, short stories and poetry. The Northern Book Prize is for a fiction writer with a completed manuscript. The winning writer will receive £5000, editorial support and a contract for worldwide publication from And Other Stories. The writer will also have access to other developmental opportunities offered by New Writing North. TLC Free Reads Scheme, which offers up to five poets, prose writers and children’s writers an in-depth editorial report from The Literary Consultancy. The Northumbria University Student and Alumni Award, worth £2000, for fiction or poetry, open to final year students and recent graduates of the university. The Channel 4/Northumbria University Writing for Television Awards offers two writers development opportunities within television. One writer will work closely with Lime Pictures through a mentoring placement on the serial drama Hollyoaks. The other writer work closely with Bonafide Films, an independent northern production company involved in creating original TV drama. Each winner will receive a bursary of £3000. The Word Factory Apprentice Award is open to short story writers who have not yet published a collection. The winner will receive £1000; mentoring from the writer Jenn Ashworth; and a year’s free access to all Word Factory events and masterclasses. The Andrea Badenoch Fiction Award, worth £2000, is open to debut female writers over the age of 42 (Andrea’s age when she was first published). The Arvon Award, which offers a prose writer the chance to undertake an Arvon residential creative writing course. The Cuckoo Young Writers Award, worth £200, will recognise one young writer between 14 and 18 years old whose work shows exceptional promise. The Matthew Hale Award, for writers aged 12-18 and worth £500, is by nomination only. Parents, teachers and other adults are invited to nominate talented young writers who might otherwise lack the opportunity to pursue their talent. Enter the Northern Writers’ Awards 2018 by Thursday, 1 February 2018.